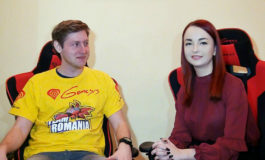 DotaBlast met Natus Vincere’s Danil “Dendi” Ishutin for an interview in Minsk, during the StarLadder i-League StarSeries LAN finals. Dendi talked about the problems his team is facing, his loyalty to Na’Vi, why we don’t see more CIS players breaking into the professional scene, and his artistic inclinations as a child. 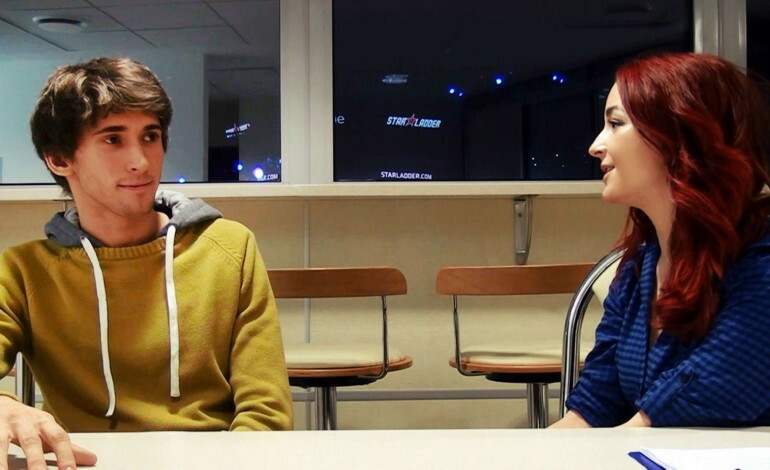 The Dendi interview was conducted on January 15th, during the StarLadder i-League StarSeries finals, in Minsk. Both video and transcript versions of the interview are available below. DotaBlast/ Andra: How’s it going, Danil? Dendi: It’s going so and so. We already lost here (note: at StarLadder i-League), so it gets pretty tough at some point, but everything’s alright. DotaBlast: Did you have especially high expectations for StarLadder i-League? Dendi: Yes. I think I always have high expectations. That’s the right mindset. You should believe that you can beat everybody. I don’t want to be top 16 or top 32 or whatever. I want to be top 1, so I need to fight for that and in order to do that I should be able to beat any opponent – at least in my mind. So, expectations were high for me. Maybe not for everyone on my team. Maybe. But for me, there were high expectations, for sure. Discipline is what we’ve really been lacking for a long time. As CIS players, we’re always very aggressive, and sometimes we lose track of what’s going on. DotaBlast: What happened exactly? What went wrong? Dendi: We are not that strong yet. I think individually we’re pretty high level, but there are a lot of other aspects in Dota that you need to excel in so that your team achieves something: team spirit, friendship, discipline, and many other things. For example, what I think went wrong for us is that we’re losing a lot of points when it comes to communication, we’re not giving enough information, we’re not giving information at the right time, we’re not giving the correct information in-game, and that costs us a lot in-game. What else? Communication and discipline, I guess. Discipline is what we’ve really been lacking for a long time. As CIS players, we’re always very aggressive, and sometimes we lose track of what’s going on. We lose our discipline and we go full “yolo”. It happens a lot, we’re trying to work on it. For now, our discipline is really low, that’s why we’re making mistakes. Usually we’re leading in the game, for example – it’s really what I feel happens – but then we start throwing somewhere. I think a big part of the problem is communication and discipline. DotaBlast: Do you think the current lineup is going to improve on those aspects? Or do you need to make roster changes and experiment further with the roster? Dendi: I think any lineup can improve, it all depends on the human mindset, on the players’ mindset. If you know your weaknesses, if you know what’s wrong with your team or what’s wrong with you as a player, you’re starting to work on it harder, much harder than on other aspects, you improve and next time you see improvement. I see improvement for our team. We started playing together not long ago and we practiced every day. I saw a lot of improvement. We had some break around New Year’s a little and then we went on a small bootcamp before the Major qualifiers. In the qualifiers we played pretty decently, I think. I see a lot of improvement, but still not enough. We’re not there yet. We had the same problems that we had here (note: at StarLadder i-League), but to a bigger extent. So, I see improvement, I really do. Usually people see what they want to see. In games, they look at how certain players perform and draw conclusions. In reality, you should draw conclusions on the entire team. DotaBlast: So, you’re still pretty confident in this particular Na’Vi lineup. 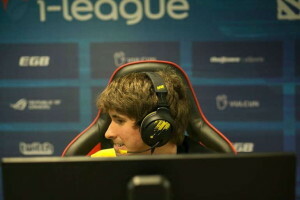 Dendi: I’m usually not the player who would want to change teams, to be honest. I always have confidence in my team, in my players. I think it’s also some kind of skill that you need to have when you’re playing at a high level: trust in your teammates, all your teammates. I really have a huge trust in my teammates when I’m playing and I think that helps me a lot. If the players have trust in each other, the team spirit is very high and you can come up with a lot of high level plays, you can play some heroes that you don’t often play. I’ll give you a simple example: let’s say I want to play Pudge. If all my team believes in me, I’ll play it and I’ll probably play it well, because I know I have backup from my teammates, I know that they trust me, that they’re willing to help me. When I don’t have their trust, obviously, I can’t play Pudge, or I won’t play it really well. It all depends on this. Usually people see what they want to see. In games, they look at how certain players perform and draw conclusions. In reality, you should draw conclusions on the entire team. When everyone’s playing well, everyone will shine, but if something’s lacking, a player is bound to do some things he might not do if there was nothing lacking. People don’t know what’s happening in the team. They’re not listening to our TeamSpeak, they’re not here, they don’t see what we see, so obviously they don’t know anything, but they’re drawing conclusions. That happens everywhere, not only in Dota. It’s the same in politics and other areas. In reality, we’re picking together – we’re trying to pick together, so everyone should take the blame. DotaBlast: About that, ArtStyle has been taking the blame for drafts quite a lot, and you’re saying that it shouldn’t be his fault, it’s the entire team that underperformed, right? Dendi: Yes, that and not only that. People don’t know what’s happening in the team. They’re not listening to our TeamSpeak, they’re not here, they don’t see what we see, so obviously they don’t know anything, but they’re drawing conclusions. That happens everywhere, not only in Dota. It’s the same in politics and other areas. In reality, we’re picking together – we’re trying to pick together, so everyone should take the blame. I like our picks even now. I know that some are harder, some are easier. 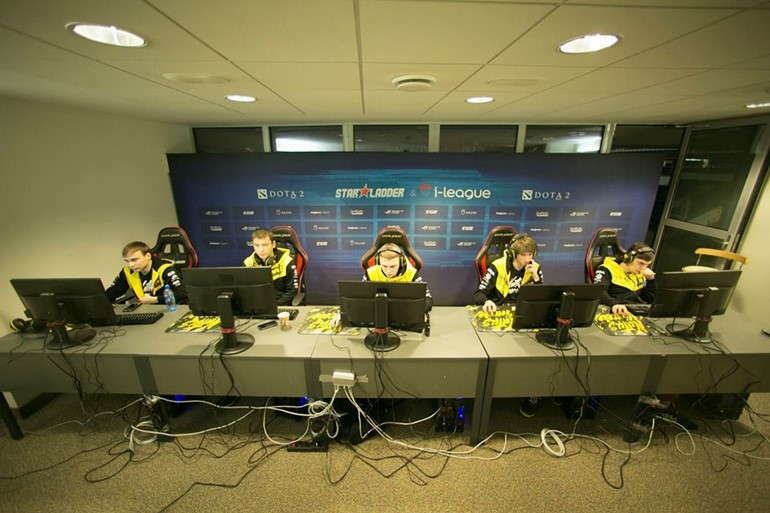 For example, against Fnatic we had a push line-up. We made a lot of mistakes – micro-mistakes, macro-mistakes – a lot of things went wrong, and after some minutes it’s getting increasingly difficult to win against split-push with push when you’ve already lost the momentum. So, at some point you can blame the draft, but if you played well you wouldn’t have to blame the draft. When we played against Alliance, I think our draft was much, much, much, much better at some point and we played it really well, we gave them heroes they’re actually not that comfortable with. It’s only my opinion, but I think it really went well for us, so you could say it was a good draft. It’s really hard to compare drafts, but you can win with every draft, with the right mindset, with the right ideas. We’re picking together and there’s no reason to blame ArtStyle, because if you do, you should blame everyone else on the team just the same. I’m just trying to be loyal. No one respects loyalty these days, I guess. DotaBlast: You’ve been on Na’Vi for a really long time – almost unprecedented in Dota for a player to be on the same team for such a long period of time. You gave us quite a scare a couple of months ago, when the news broke that Na’Vi disbanded and that you were off the team. Do you see yourself playing for another organization, maybe in the distant future – not right now? Is that even a remote possibility? Dendi: Yes, everything can happen, I’m not saying anything, but I’m trying to be loyal. I know that my organization gave me a lot of things, changed my life in a good way, so I feel like I owe them. I feel comfortable, and I owe the people I play with and the people who work for the organization, so there’s no reason for me to leave for now. I have a huge trust in my teammates. I don’t want any changes, I just want to play and if someone is lacking something, I want them to improve and I’m trying to do something and help them if I can, if I can’t, I just wait. I’m just trying to be loyal. No one respects loyalty these days, I guess. Whatever. DotaBlast: Do you miss Sasha? Dendi: Yes, of course. I really enjoyed playing with XBOCT for a long time. There was no moment when I wouldn’t have continued playing with him. I could still play with him, no problem. DotaBlast: We talked to him at the Frankfurt Major and he told us he misses playing with you too. You guys were very good friends. Are you still in contact? 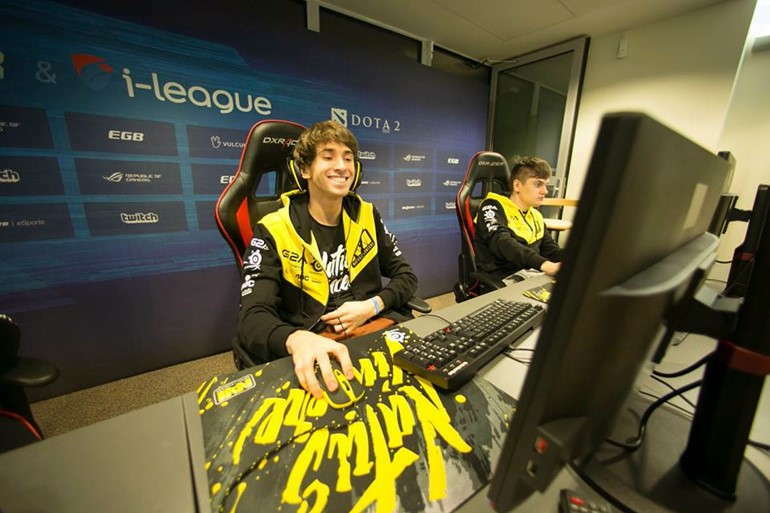 Dendi: We live in different cities, so it’s not easy (note: to see each other) in real life. Obviously, we’re going to see each other on tournaments a lot and sometimes we write messages to each other. We got really used to each other at some point because we saw each other so much in those five years. We had a lot of tournaments in the past 2-3 years, we were always travelling together, always having bootcamps together. When we had three days off, we took time off from each other, but then we were missing each other, like a couple. (laughs) We were like a family at some point. DotaBlast: Now that you’ve mentioned family, I first saw you on Free to Play and I really identified myself with your family and your childhood, partly because I also took piano and dancing lessons. How long have you studied piano? Dendi: My mother is a piano teacher, so she wanted me to study music and she chose piano for me when I was in the first grade, in school. But I think I like the violin better. DotaBlast: Can you play the violin as well? Dendi: No, I can’t, but at some point I realized that I would’ve wanted to learn violin instead. DotaBlast: Yeah, but your fingers are fit for a pianist. Dendi: I was going to study piano and I had an advantage from all the other students, because my mom was teaching me at home. DotaBlast: Can you still play? Dendi: No, no, I don’t play. But I think if I spent maybe a month or two practicing, I would remember things and maybe I’d be able to play. DotaBlast: Who’s your favorite composer? Dendi: Oh, I don’t know, that’s really hard. I like a lot of classical music, I like jazz music. I really like classical music. Last time I was listening to Debussy. I actually was thinking about going on that (artistic) path. I don’t remember what changed my mind, I really don’t. DotaBlast: I really like Debussy, but my favorite ones are Mendelssohn Bartholdy and Bach. What about the dancing classes you took? You seemed really artistically inclined back then. I wonder why you didn’t go on that path. Dendi: I actually was thinking about going on that path. I don’t remember what changed my mind, I really don’t. I really loved dancing, I still love watching high level dancers – modern dances, folk dances, anything – when I see high level dancers, I enjoy watching and I’m really impressed. About myself? I was 6-7 years old, maybe, I traveled around with my group, dancing competitively. We weren’t super high level, but we were young. I think dancing really helped me in Dota, because you dance in front of a crowd or you take your piano exams in front of an audience. Those things helped me, because now, in Dota, I don’t feel any pressure when I play on stage. I feel really normal. I actually think that one of the most skillful players around are in the CIS, but our problem is that most players are not used to team work. (…) You can be 9K MMR, yeah, you’re going to be good at playing alone, but in a team it’s a totally different story. DotaBlast: Considering the high number of people playing Dota in the CIS region, why do you think there are so few people breaking into the professional scene every year? Dendi: That’s a pretty tough question. I can only guess, because it’s really weird for me. Maybe it’s a mentality problem. Our mentality is pretty tough, compared to some other mentalities. I actually think that one of the most skillful players around are in the CIS, but our problem is that most players are not used to team work. You know, everyone is trying to draw attention on them: “Look at me, I’m so good!” In a team it doesn’t work like that, you need to be one unit, you need to work for each other. There are a lot of high level ranked players, with high MMR or whatever, but that doesn’t give you anything. You can be 9K MMR, yeah, you’re going to be good at playing alone, but in a team it’s a totally different story. You need to have some experience, you need to know a lot of things, you need to be friendly, you need to know how to trust in your teammates, how to communicate, and many other things. All those things are not easy, especially when your mentality is that you’re a little bit cocky. DotaBlast: So, you’re saying it’s a mentality problem. 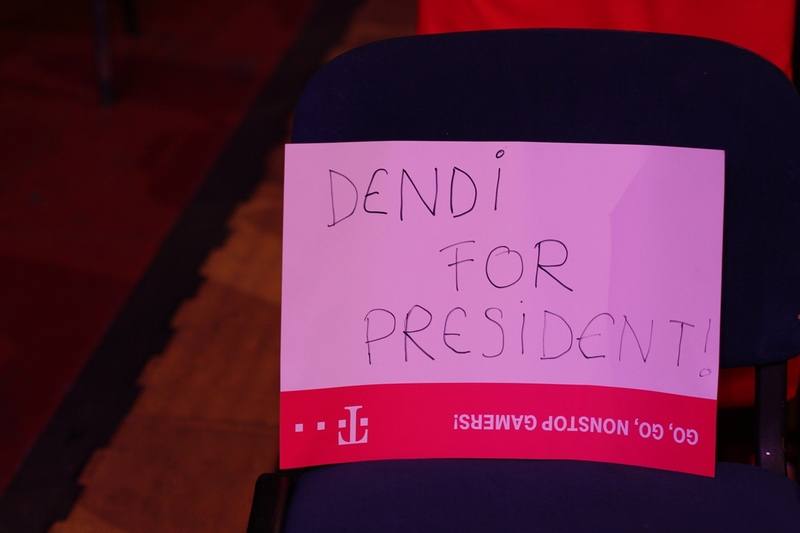 Dendi: Maybe. That’s my guess. DotaBlast: Who do you think will be the next rising star in the CIS region? Dendi: Oh, it’s pretty hard to tell. You could call Ramzes (note: Roman “Ramzes” Kushnarev, from Team Spirit) a rising star, because he’s young. DotaBlast: How old is he? DotaBlast: Oh, 16. He definitely qualifies for the rising star title. Dendi: My teammates, if you can call them young, but I guess they’re not that young anymore. DotaBlast: SoNNeikO is pretty young. 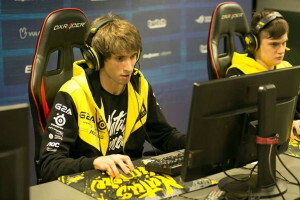 Dendi: He’s already a star! DotaBlast: He is, that’s right. There’s still plenty of room to “rise”, though, there always is. 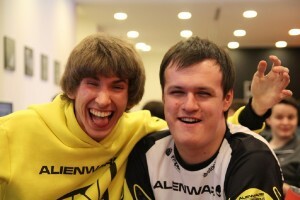 Dendi: He’s insanely good, you have no idea! We’re just pulling him down, I guess. DotaBlast: You called him a diamond once. Dendi: Yeah. I can repeat it. He’s still a diamond! DotaBlast: Thank you so much for the interview. Any shoutouts? Dendi: Shoutout to my team – hi, guys! – to my friends, to my family, to my fans – I love you, everyone! Let’s do a hug! When will dendi back??? Such legend cant just stop like that!! TAKE MY ENERGY DONDO! !